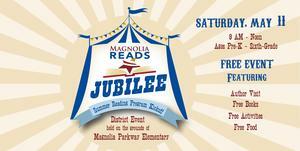 Every year Magnolia ISD require families to update their contact information and complete required district forms. For the 2018-19 School Year, families can complete this process online through the new Parent Self Service account. 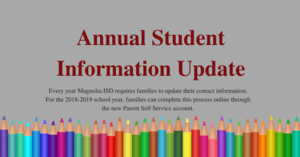 Every year, Magnolia ISD requires parents to update student information for each child enrolled. Updating student information regularly is vital to ensure the correct guardian information, emergency contacts, phone numbers, etc. This allows the district and campus the ability to respond in a timely and appropriate manner in case of emergency. Annual Student Information Update will be completed by parents/guardians using their TEAMS – Parent Self Serve account. This replaces the Enrollment Verification packet that was sent home in the First Day packet of information. Parents/Guardians will need to create an account through Parent Self Service, as this system is replacing Home Access Center. Erin Vance has been selected as the Principal of Lyon Elementary. She is currently the Director of Student Success Programs in the Curriculum Department and previously served as assistant principal and principal at Nichols Sawmill Elementary for seven years. She has been with the district for 17 years. “I am honored to be a part of the family at Lyon Elementary. I look forward to working with the students, staff, teachers, and community to continue to build upon the success that has been established at Lyon,” shared Ms. Vance. Ms. Vance began her teaching career in Bryan ISD after graduating from Texas A&M with her bachelor’s degree. She earned her masters in administration from Sam Houston State University in 2007. Erin and her two daughters, Taylor and Sarah, enjoy being a part of the Magnolia community. Taylor plays volleyball and basketball and will be a freshman at Magnolia West High School and Sarah who also plays volleyball and basketball will be in 8th grade at Magnolia Junior High. Magnolia ISD is offering a new channel of communication free to parents, community members, students, and staff, the Magnolia ISD Mobile App. The app provides the latest news from the district and individual schools, important school and District updates, lunch menus and accounts, access to Home Access Center (HAC), athletic schedules, and the District's social media sites. Click the picture to learn more about this wonderful new opportunity to stay connected! 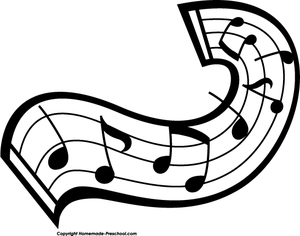 2nd Grade Program Rescheduled for March 6 at 6:30 pm! Come visit your teacher's classroom to celebrate progress thus far. We will review grade level expectations for the end of the year. You will take home some great ideas and activities to work with your child and help them achieve their goals! Come be a partner with your child's teacher to ensure success! Calling all girls at Lyon Elementary....join us for a night to remember! Girls may be escorted by their dad, stepdad, grandfather, uncle, or any other special person who fits the role. Moms will ONLY be admitted if volunteering! Tickets are $15 for a dad/daughter pair + $5 each additional daughter if purchased by January 31st. At the door, tickets will be $25 for a dad/daughter pair + $5 each additional daughter. Fathers and Father-figures, On Wednesday, November 7 from 6:00 - 6:45 pm we will be hosting our annual Watch Dog kickoff. Throughout the time, we will have a presentation about our WATCH D.O.G.S. (Dads of Great Students) Program. Watch Dogs is an innovative program being used by school across America which helps them to be positively impacted by the committed involvement of fathers and father-figures in their student's life. The goal is to have you spend at least one day this year at the school to be a positive male role model and provide an extra set of eyes and ears. Dads, granddads, uncles, step-dads and adult brothers....this is your chance to have some special time with your student in a fun atmosphere at school. 1. 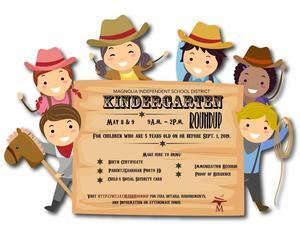 Fill out the bottom portion of this slip and return it with your student saying that you will attend this Dad Event. 2. Mark your calendars for Wednesday, November 7 from 6:00 - 6:45 p.m. and plan on attending. 3. If you plan on participating, please plan on filling out a background check form after the meeting. You will need your Driver's License. On Tuesday, September 18, from 10:00-11:00 am, come join us in the library for light snacks and refreshments, to meet our new principal, and hear about all of the exciting ways you can get involved at our school this year. All are welcome!